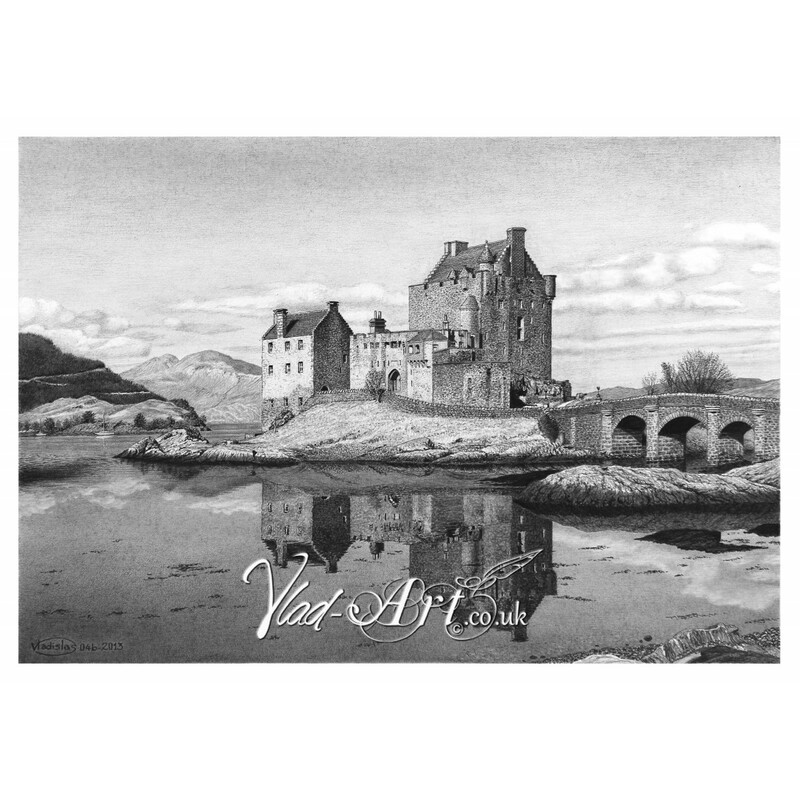 This life-like pencil drawing of Eilean Donan Castle created by Vladislas is offered as a Fine Art limited edition reproduction by Vlad-Art, featuring in great details one of the most iconic Scottish castles, showing off its majestic stature in the motionless waters of Loch Duich. The castle was founded in the thirteenth century, and became a stronghold of the Clan Mackenzie and their allies the Clan Macrae. It is set in the midst of imposing and stately mountains, resting like a pearl in a jewellery box and it is now as peaceful as the calm waters that surround it. Its reflection in the loch adds an eerie charm to its magnificent design.